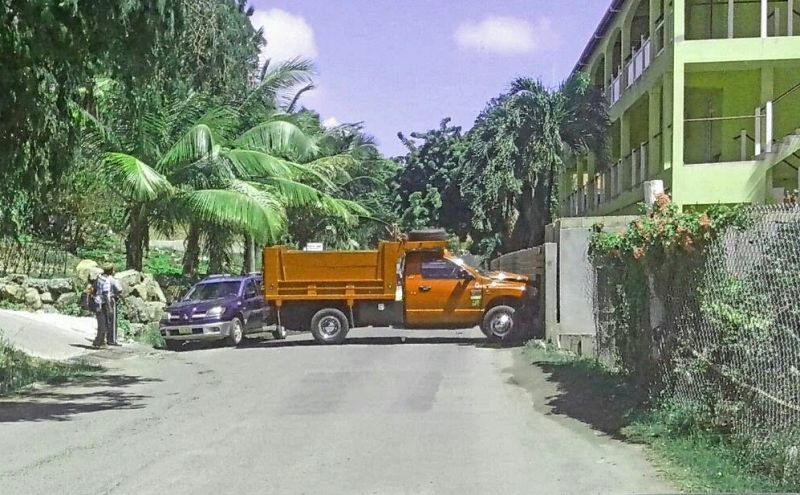 According to reports reaching this news site, the incident occurred just before 1:00 PM when the driver of the truck allegedly forgot to pull up the hand brake and the truck rolled forward and down a hill. The vehicle crashed into a fence and blocked a major part of the road, forcing motorists to squeeze to the side of the road to pass. The usual in the VI. Ppl Don't engage all the breaks on their vehicle while on an incline. Talk about who the paranoid ones are. That's the height of carelessness because suppose one ah my kidz was passing now? The driver forget to pull up the hand brakes. How one forget to pull up the hand brake on a dump truck? His mind must have been somewhere in LaLa land.